This will be fun for those of us who enjoy your writing! Thanks for being brave and taking up the challenge! I am writing about bravery too… I think we need as many voices saying this in as many ways as we can. Can’t wait to read your series! Thanks! You’re right. I’ll check out your series too! Fabulous Julie, as always, you inspire me! Keep going strong, girl! Dear These Walls, I wrote you once upon a time when you wrote a beautiful segment about the perks of a LARGE FAMILY to affirm its beauty and let you know I’d enjoyed it as a reader. I don’t think the point was perks, but it spoke to me the positives and blessings of a huge extended family…. 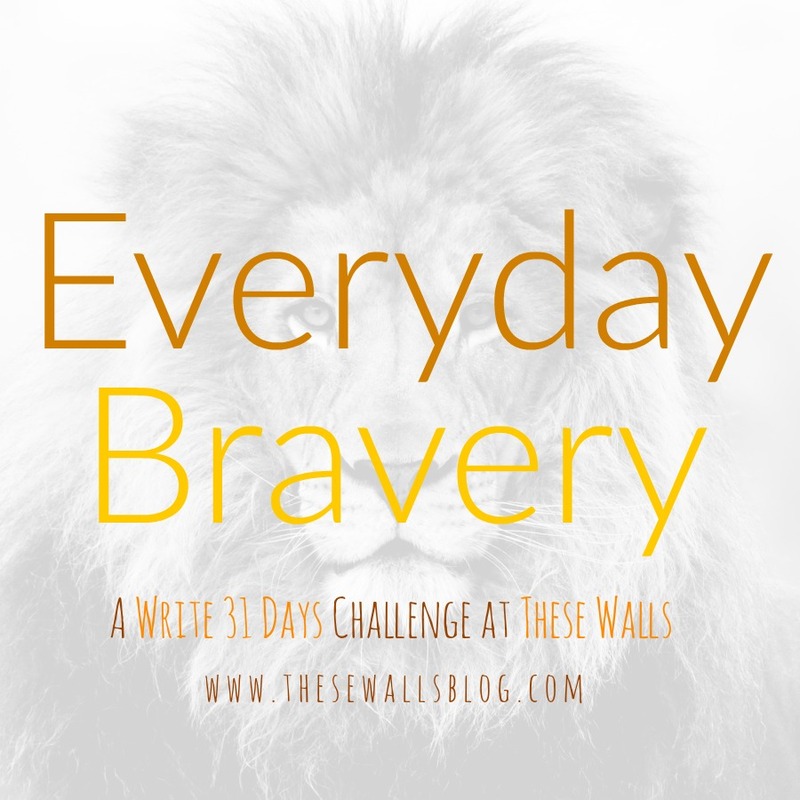 I love your October challenge of bravery! I am writing you, a stranger, to seek your opinion on my personal life—an objective opinion, but a wise one, no doubt! 🙂 I know you’re a busy Mama and wife and friend and writer, so no pressure in responding… But I am just needing some thoughts and perhaps you can extend me yours… Let me try to nutshell well so as to not take and blab and blob unnecessarily. Bullets may help! -I am dating a wonderful fellow. (approaching 16 mos) -we are discerning marriage. -it hasn’t been smooth sailing entirely, hence needing more than 6 mos like typical catholics my age –but we’ve made great growth. -I am 34 yrs and 11 mos old. -He is a mature 29.5 year old.. -we are SAME on utmost important items: faith, family (though we grew up in quite different households we both have parents who are still married and we are focused on family closeness) -But we are DIFFERENT on some issues I find annoying— guns, motorcycles are his areas of interest.